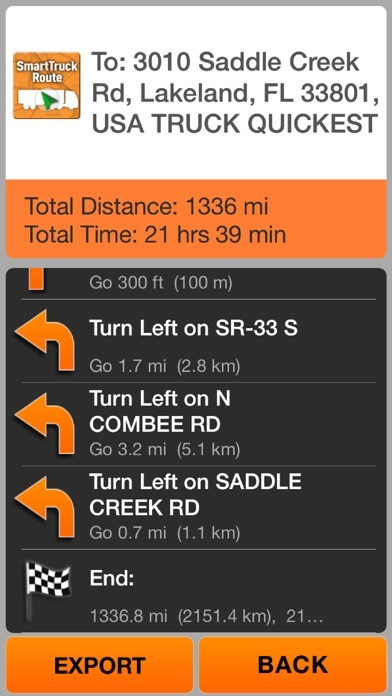 SmartTruckRoute Helps Professional Truck Drivers Save Time, Save Gas, and Drive Safely! 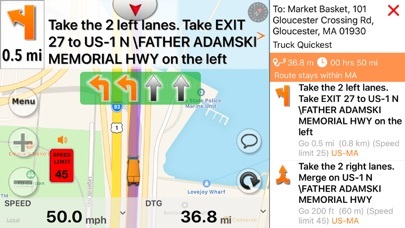 Join thousands of other truck drivers including regional, local, and over the road drivers who are already using SmartTruckRoute to find their way using truck specific routes on their phones and tablets. Supports U.S., Canada, Mexico, UK, and Australia truck routing. Subscription based truck routing service. 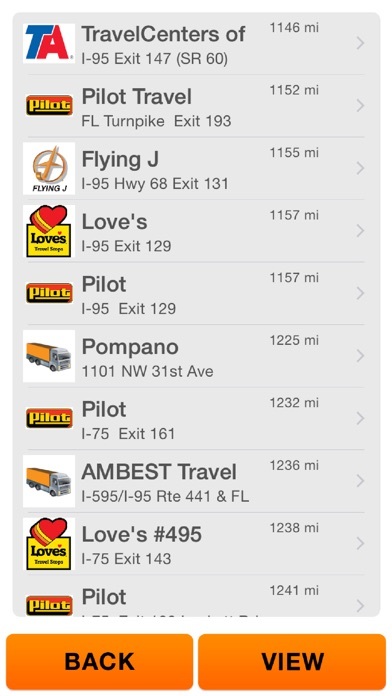 Download free of charge to see the truck routing menus. 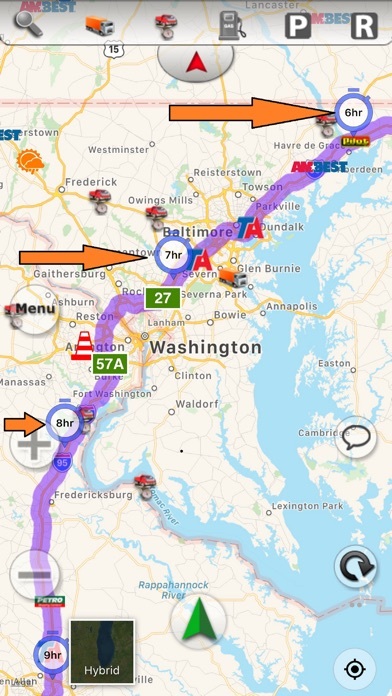 Use SmartTruckRoute from 1-2 PM (and 1-2 AM) EST everyday, FREE. You can test routes and navigate in real time. Truck routing and navigation requires payment. See in-app pricing for details. You can transfer your subscription to a new iPhone or iPad anytime. Use your iPad and iPhone on the same subscription provided they both use the same iTunes account. Commercial drivers can navigate with confidence knowing that SmartTruckRoute follows roads that are suitable for truck travel, avoiding truck permanent and temporary restrictions, avoids low bridges, and keeps you away from areas that have weight limitations, and also supports Hazmat routing. SmartTruckRoute helps avoid costly tickets and keep you safe. SmartTruckRoute is powered by WorldNav, pioneers in truck routing for portable GPS. * Navigate any size truck with the convenience of using your phone! * Offers the latest truck specific maps and routes. * Provides turn-by-turn instructions with voice with lane guidance. 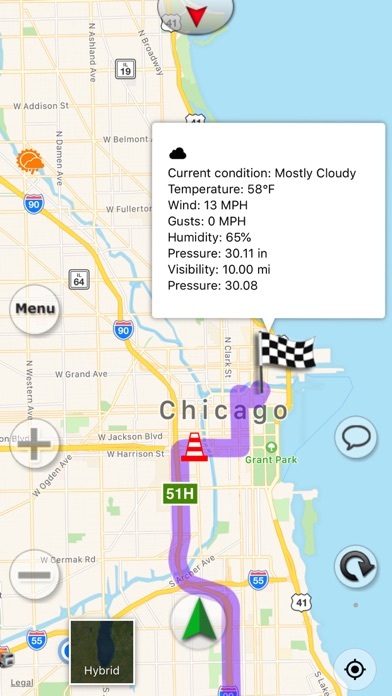 * Navigate in Street, Hybrid, or Satellite View mode. * Specify Size, Weight and Hazmat level to insure accurate truck routing. * Use your phone's built-in speaker to say your destination address or point of interest (such as a truck stop). * Built-in Odometer function allows you to track state mileage for easy tax filing. * State border crossing, weigh scale, and speed limit alerts. * Navigation does not interrupt other functions of the phone. * Unique driver feedback loop provides best in truck navigation. * Free Updates * Unlimited number of routes, use as often as you wish. Why we are better... 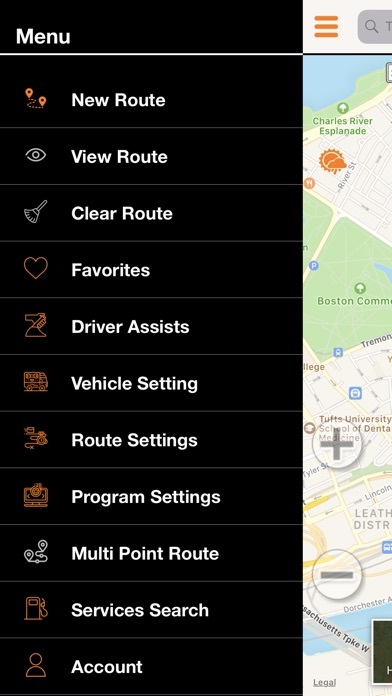 Instant Truck Routes on your iPhone or iPad! No lengthy downloads. Daily map updates including Permanent and Temporary Restrictions, and road closures. Truck friendly. Unlimited number of routes can be created. ------------------- Movie: http://youtu.be/YZyPD_9Ur-4 ------------------- Truck routing is currently available for the following countries: USA, Canada, U.K., and Australia, please note that points of interest such as Truck Stops are only available for USA and Canada. 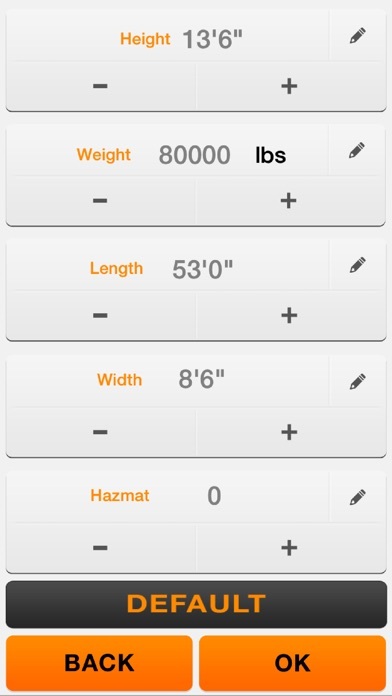 If you are using this app in Australia please change the width of your vehicle to 8'2" (rather than the USA default of 8'6". ------------------- Please note: Continued use of GPS running in the background can dramatically decrease battery life. ------------------- Download SmartTruckRoute today and drive your truck with confidence! 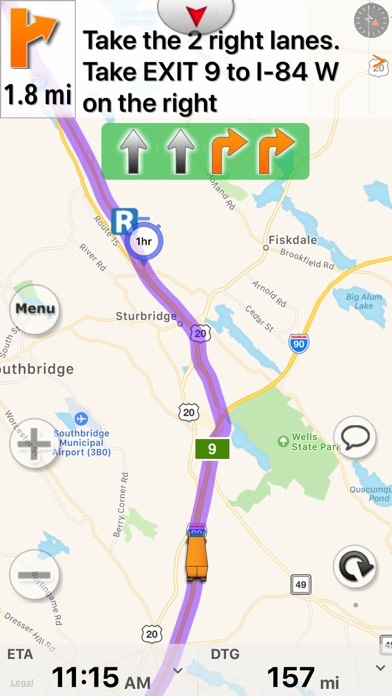 We are on a road trip and thought this app would be helpful. But the app will not auto correct and keeps telling us to go back to where we’ve come from. There is difficulty showing our location of the car and the map will not zoom out. It won’t work unless I pay? Not a free app then I guess. 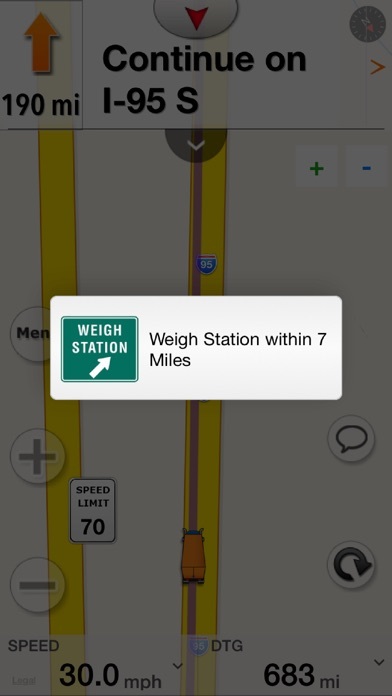 What I don’t understand is this app has everything for a truck driver except for exit numbers why? Why is it so hard to find an app that can post exit numbers so you don’t have to go rummaging through some 5 pound map book? Maybe I’m missing it but I don’t see it. IMO, talks too much. Tells me about every truck-stop within 100 miles, and repeats it multiple times. Enough already! Seems slow to update: the screen shows the turn I just made. Takes a moment or two before the next instruction is displayed. Will eventually get you to the destination, but somewhat aggravating. 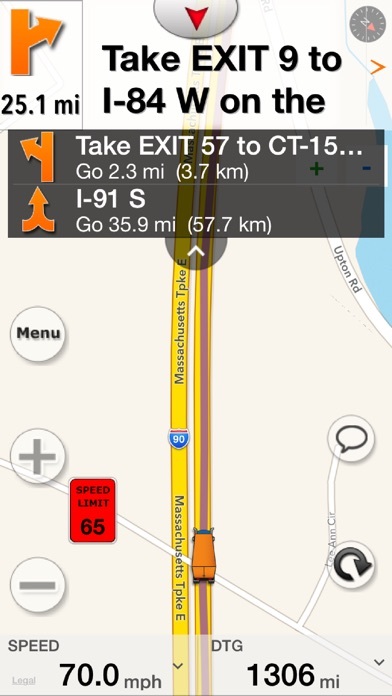 Not as good as some other navigation apps. Best app ever, almost 5 years. Get it, I promise you it’s good!!! This app used to be good now it crashes every 30 mins or so. Not cool before you have to make a turn. Also it loves to send you down non truck routes. Really like the satellite view for finding my shippers and receivers. Would be great if you guys added multiple route options to compare.